1. Cheap flights Medan - Lombok: start at THB 5159. Looking for a cheap flight from Medan to Denpasar Bali (KNO-DPS)? 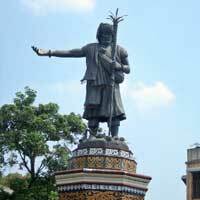 Flights fares for Medan to Denpasar Bali start at THB 2220. Find the best and cheapest flights on this route and other relevant information. Before you book a flight you can use Utiket to find the cheapest flights from Medan to Denpasar Bali for Garuda Indonesia, Lion Air, Batik Air, Wings Air, Citilink, Sriwijaya Air. All flight data are real-time and accurate. Utiket finds all the cheapest flights from Medan to Denpasar Bali. On average the flight time between Medan and Denpasar Bali is about 1 hr 10 min. Be aware there is a time difference of 1 hours: The time in Medan is 1 hour earlier than the time in Denpasar Bali. The timezone for Medan is: UTC +07:00. The local time now: 04:11:53. 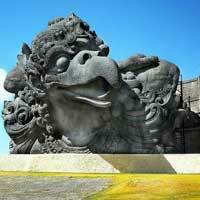 For Denpasar Bali the timezone is: UTC +08:00 and the local time now: 05:11:53. There are 4 airlines flying from Medan to Denpasar Bali. Weekly there are 7 flights between Medan to Denpasar Bali. The earliest flight from Medan to Denpasar Bali is at 05:50. The latest flight is at 19:50. The cheapest price for flight from Medan Denpasar Bali is THB 2220. The new Kualanamu Airport of Medan replaces the old Polonia Airport. The new airport was official opened on July 25, 2013 and is built on an area of approximately 1,300 acres which made it the second largest airport in land use in Indonesia after Soekarno Hatta Airport and will be the fourth busiest airport in Indonesia after Jakarta, Denpasar and Surabaya. Find cheap flights to Medan or read more about Kualanamu International Airport. Which airlines have direct flights between Medan - Denpasar Bali?